One of the engaging aspects of the 1994 Oscar-winning movie, Forrest Gump, is the serendipitous way the protagonist finds himself smack-dab in the middle of pivotal moments in 20th-century history, rubbing shoulders with the political leaders and celebrities of his day. He encounters Elvis Presley and John Lennon. He gets to meet President Kennedy. He fights in the Vietnam War and ends up getting a Congressional Medal of Honor from Lyndon Johnson. By sheer happenstance, he becomes witness to the events of the Watergate scandal. He participates in Ping Pong diplomacy with the Chinese as a member of the US Table Tennis team. None of these events or celebrity photo ops are necessarily pivotal to the plot or central to the soul of the character – but they add another dimension to the movie because the historical milestones and celebrity sightings bring an unexpected thrill of familiarity to the viewer. I find myself in a similar situation with the historical mystery genre. When I read Steve Saylor’s Roma Sub Rosa series, for example, there’s much more to my literary enjoyment of the books than the character of Gordianus the Finder, the authenticity of the historical settings, the cleverness of the plot structure, or the accessibility of the dialog. The opportunity to experience significant events in ancient Roman history, or get up close and personal (in a manner of speaking) with the leading lights of those times is, without a doubt, one of the added attractions. I’d even go so far as to say that it’s something I actively look forward to each time I approach the next volume in the series. Where else can you find your crime-solving protagonist come face to face with the remains of none other than Alexander the Great, mummified in his golden sarcophagus? Or have a chance encounter with King Ptolemy of Egypt? 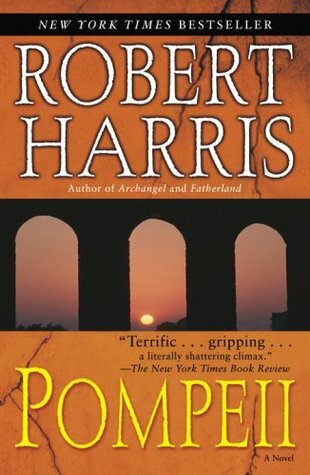 Spartacus is but a name shrouded in myth until Gordianus is brought in to solve a case set right in the middle of the slave general’s revolt. Cicero is no more than a paragraph in a history book featuring famous Roman orators until Gordianus assists him in one of his most famous legal cases. That is when we actually get to know the man behind the closing arguments. 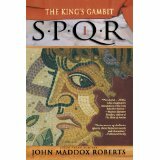 Even the more well-known and thoroughly documented figures of Roman history, from Marcus Crassus (the richest man of those times, and arguably of all time), to Pompey the Great, and Julius Caesar himself, all come alive as real people in these stories. The New York Times Book Review enthusiastically nods in agreement: “Saylor puts such great detail and tumultuous life into his scenes that the sensation of rubbing elbows with the ancients is quite uncanny.” None other than the noted Shakespearean thespian, Sir Derek Jacobi, calls the series “an enthralling re-creation of its time and place, a fascinating piece of story-telling.” And Sir Derek should know – he played the role of Emperor Claudius in the universally acclaimed cinematic version of Robert Graves’ I, Claudius. So, that’s my pitch – if my fevered rantings about historical fiction can be called that. Read these stories – not just for historical authenticity, or the intellectual stimulus of unraveling yet another crime mystery – but for the opportunity to meet the Kennedys, Lyndon Johnsons, Elvis Presleys, and John Lennons of bygone eras. Walk the streets of ancient Rome (or Alexandria, or Pompeii) side-by-side with your fictional companion of letters – you never know who you might bump into on your journey. That lady over there, for example, followed by a retinue of attendants – she might well be Calpurnia, seeking to engage our fictional sleuth in getting to the bottom of a conspiracy to take down none other than her husband, Julius Caesar. From Socrates to the Emperor Augustus to Lucrezia Borgia and many other notables across Europe and Asia, history is scattered with examples of the victims and perpetrators of death by poison. So naturally, in perhaps another instance of art imitating life, historical mysteries have their fair share of the use of poisons as the murder weapon. And having talked about cuisine in historical mysteries before, it didn’t take long for us to make the connection between food and murder most foul. So that’s where we take you in this next podcast. For more on this subject, check out our blog post, which includes some further suggested reading. And don’t forget to let us know about your favorite historical mysteries featuring poisons! And full of villains and spooks. With his keen investigative mind. And our hero blocks and tackles. Then there’s really no need.